Clean-energy visionaries have long argued that the world needs a better battery capable of selling skeptical consumers on electric cars and running the grid on renewable power. And yet the battery of the future — at least for the coming decade — will almost certainly be the battery of the past. The humble lithium-ion battery has built up such a commanding lead in the market that competing technologies may struggle to catch up. That lead will only widen as a wave of planned new lithium-ion factories comes online in the next five years. The batteries pouring from new factories in China, the U.S., Thailand and elsewhere will further drive down prices, which have already plunged 85 percent since 2010. And the billions spent on factories will create a powerful incentive for the industry to keep tweaking lithium-ion technology, improving it bit by bit, rather than adopting something else. 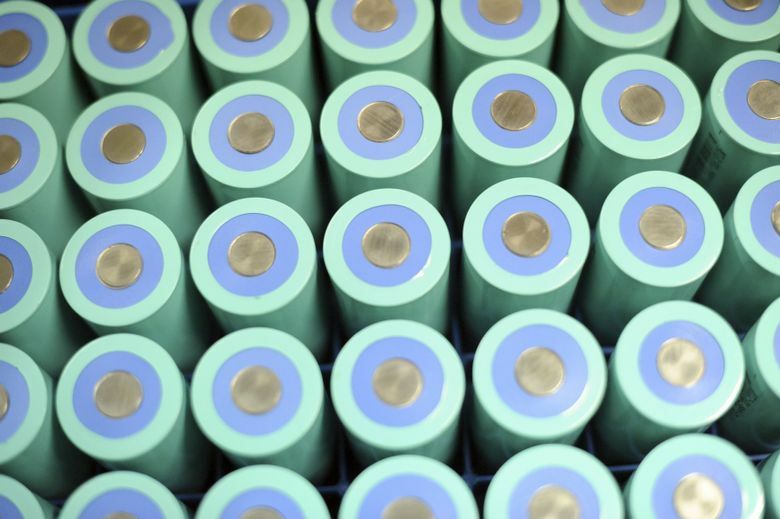 Many startups now focus on upgrading lithium-ion batteries rather than competing head-to-head. “We don’t think lithium ion is going to be disrupted,” said Erik Terjesen, senior director of licensing and strategy for Ionic Materials. Terjesen’s Massachusetts-based company is one of several trying to perfect solid-state batteries, often billed as lithium ion’s likely successor. Solid-state batteries promise, among other things, to remove the flammable liquid that can cause lithium batteries in laptops and cars to occasionally catch fire. But Ionic isn’t trying to replace lithium ion. Instead, the company has designed its polymer electrolyte to work inside existing batteries. That means all those new factories can use it without buying expensive new equipment. “We don’t believe, given all the investment in lithium ion, that people are going to throw that out the window and start over from scratch,” Terjesen said. Invented by an Exxon Mobil researcher in the 1970s and commercialized by Sony in 1991, rechargeable lithium-ion technology has existed for decades. The basic battery works by sending charged lithium atoms, or ions, through a liquid electrolyte substance, shuttling back and forth between a positive cathode and negative anode. Tinkering with different materials in the cathode — cobalt, nickel and manganese — has increased the amount of energy the batteries hold. What started out inside consumer electronics such as cordless phones can now be found in electric cars and connected to the power grid. “It’s a very versatile technology, so every time it gets cheaper, that opens up more demand segments for it,” said Logan Goldie-Scot, head of energy storage research at BloombergNEF. Lithium-ion battery pack prices, which averaged $1,160 per kilowatt hour in 2010, reached $176 per kWh last year and could drop below $100 in 2024, according to BloombergNEF. The continuing drop in prices combined with improved performance will likely open new markets. Not everyone is convinced that lithium-ion can do it all. Some big automakers pine for a breakthrough technology that will enable a long-range electric vehicles, capable of traveling perhaps 500 miles on a charge, that will finally convince reluctant consumers that they won’t run out of power on the road. Toyota Motor, , for example, has far more patents and patent applications for solid-state batteries than any other company and is investing $13.9 billion in its battery operations. The need to store renewable power in bulk could require alternative battery technologies. Although companies such as Tesla and Dynegy have already begun plugging lithium-ion batteries into the grid, the installations typically supply electricity for just four hours. Many alternatives, from flywheels to flow batteries, have failed to catch on while the market grows more and more comfortable with lithium ion. Primus Power of California, for example, offers a flow battery that can produce 25 kilowatts of electricity for five hours, and Chief Executive Officer Tom Stepien said improvements to the current design could boost output to seven or eight hours. Flow batteries pump liquid electrolytes through the battery’s cells when electricity is needed. “Lithium is a sprinter,” he said. “Flow is a marathon runner.” But Stepien acknowledges the difficulty of [persuading potential customers to bet on less-familiar technology. Primus has deployed 30 of its systems to date, mostly over the last three years. “Lithium is more bankable, all the rage, what everyone is going to today — for sure,” Stepien said. That staying power has attracted entrepreneurs who insist lithium-ion batteries have room for major improvements, not just incremental gains. The powder in Gene Berdichevsky’s hands looks like charcoal dust. But it could boost the energy storage of a lithium-ion battery by 20 percent or more, according to Berdichevsky, co-founder and chief executive of Sila Nanotechnologies. “I think lithium ion can absolutely dominate all storage, but you really have to get into new chemistries to do that,” he said during a tour of Sila’s San Francisco-area headquarters, where a new Tesla in the parking lot sports an “I Li-ion” license plate. Sila’s silicon-based powder can be fashioned into an anode. At the atomic level, silicon can hold more lithium than can the carbon in graphite, the most common anode material, which means batteries using Sila’s product can store more energy. The company has raised about $125 million to date and formed a partnership with BMW Group to develop the technology. Berdichevsky said that any competitors offering a radically different battery architecture will have a hard time penetrating the market, as battery makers build out their factories and prices continue to fall. Driven by rising production of electric cars, worldwide manufacturing capacity for lithium-ion batteries almost tripled in the last five years alone, according to data from BloombergNEF. Capacity now stands at 302.2 gigawatt-hours, and plants with another 603.8 GWh are planned to open within the next five years. “The incumbency of the manufacturing scale is incredible, and I think people miss this,” Berdichevsky said. This story was originally published at bloomberg.com. Read it here.